The International Criminal Court (ICC) is an international legal institution which began to function in July 2002. Based on the Rome Stature signed and ratified by 124 members, its main responsibilities include the prosecution of individuals on crimes of genocide, crimes against humanity, and war crimes. However, notably, powerful countries which are also United Nations Security Council (UNSC) members, the United States, China, and Russia, are not parties to it. Yet, through their privileged position in the UNSC these states can use their political power to influence which cases the ICC should investigate and prosecute. The ICC’s funding comes largely from powerful states, and the Court has often been claimed to be politically biased in targeting individuals in the developing countries. Arguably, then, the ICC represents the hierarchical international power structure in which the states are legally equal but in practice unequal. It shows that political interests of the most powerful states supersede the law and may distort objective application of justice. For instance, the leading individuals of the most powerful states in the United Nations remain above international law that checks Human Rights violations, while those individual leaders most subjected to ICC action come from weak states. The argument can therefore be made that the ICC, as well as other international institutions, can be harnessed as a vehicle to promote interests of the most powerful states against those they seek to target. 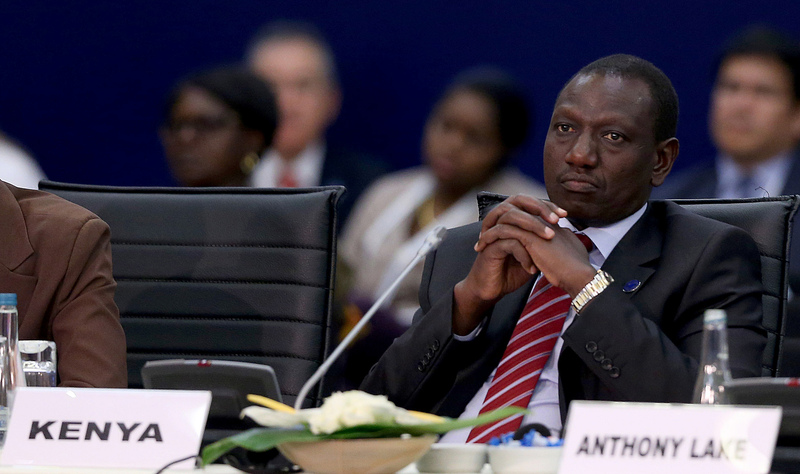 This in mind, and with Kenyan President Uhuru Kenyatta and Vice-President William Ruto having been accused by the ICC for post-electoral violence in 2008, Kenya proposed in an African Union Summit in January 2016 that African States should “push for withdrawal” from the ICC. African leaders in the Summit considered the ICC as particularly biased in targeting the continent when seeking to process prominent individuals deemed responsible for severe Human Rights violations. While these opinions had already been voiced for a number of years, it appears that the Summit was particularly important in provoking African leaders to condemn the ICC. Subsequently, South Africa, Burundi, and Gambia have announced their withdrawal from the ICC, which may lead to an exodus of African states from the organization. This raises the question of how to go about checking extensive Human Rights violations. If one accepts that ICC is biased, what would be an alternative forum for prosecuting prominent individuals for heinous Human Rights crimes? Some African leaders and their representatives have suggested developing and strengthening the African Union institutions dealing with Human Rights so that they are able to uphold a continental standard and process violations.